I first met Andrew Ritchie five years ago—well before I had properly organized the thousands of old cycling articles that I have been researching and collecting since 2002. Dr. Ritchie graciously invited me to his home, without really knowing who I was or what I was doing. He did, however, recognize that I had a passion for competitive cycling history. With my very limited writing and research experience, I was determined to write a biography of the one cyclist whose name appeared in newspaper after newspaper, Bob’s grandfather, Bobby Walthour Sr. Not only did Walthour’s professional career span nearly three decades, from 1896 to 1923, but he was best known as a motor-pacer, a cycling sport as popular in its day as it was dangerous—a sort of bare knuckle boxing meets roller derby. Two dozen cyclists, among the fittest and best-paid athletes in the world, were killed competing in motor-paced racing Walthour’s fabulous career. In Atlanta, where Walthour grew up, parades were given in his honor. He captured headlines across the United States and was wildly popular in New York and Boston. In Paris he was known as the “Unbeatable Walthour” and in Berlin, he once had to escape out of a window to avoid the crush of Germans waiting to shake his hand. The claim that Walthour was the best motor-pacer in the world is not an exaggerated one. He won American motor-paced titles in 1902 and 1903 and world motor-pacing titles in 1904 and 1905. 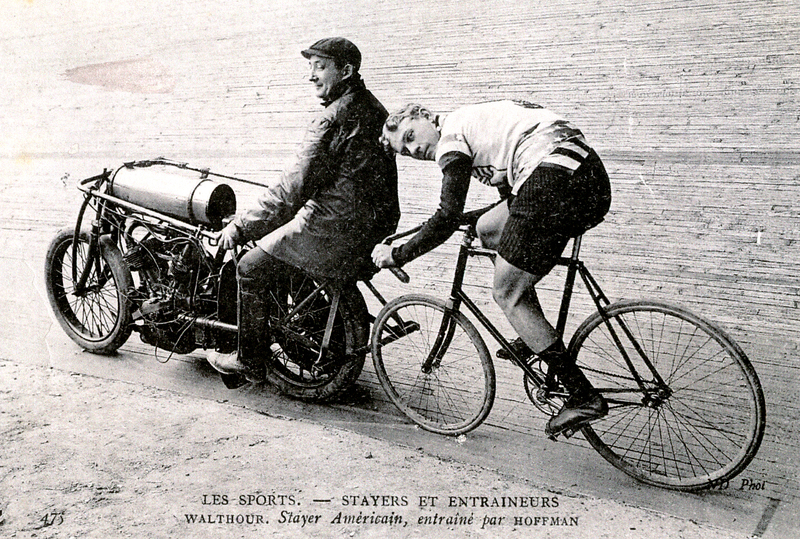 Walthour was also a great endurance athlete, winning the great New York six-day race in 1901 and 1903. 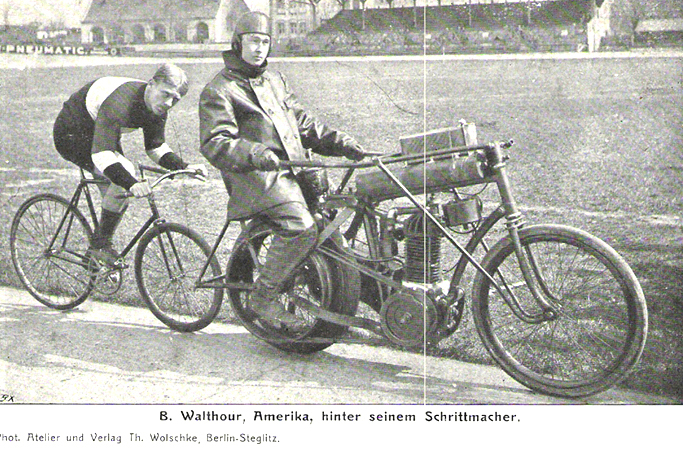 In 1904, Walthour had a season that Eddy Merckx and Lance Armstrong could be proud and envious of. He won about 95% percent of his races that year and cleared more than $60,000 in prize money and endorsements. With inspiration and help from so many people, not the least from my mother Anne Homan, a retired English teacher, I have been fortunate enough to have articles about Walthour published in three magazines: Cycle Sport (December 2006), Velo News (July 2009) and Road Bike Action (Jan. 2010). Potomac Books (www.potomacbooksinc.com) has agreed to publish my twenty-four chapter biography, which is tentatively entitled Life in the Slipstream, the Legend of Bobby Walthour Sr. Potomac specializes in military and sports history. With any luck, the book will be out before this year’s Tour de France, but more likely it will be out later in the year. Thanks, Dr. Ritchie, for your help and guidance!